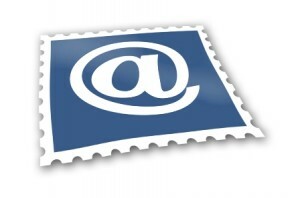 Here you can read how to set up your mailclient. To administer your accounts, eg. change passwords, add/remove accounts. Log on to https://mail.dalnix.se/. If you have more than one domain you can administer all your email domains using one single logon. To change password as a regular user, logon with your email and password. To set up an autoreply, use the same address https://mail.dalnix.se/ or alternatively you can make the changes from our webmail. You find the autoreply setting under settings and then Autoreply. Probably the most easy way to check your mail. 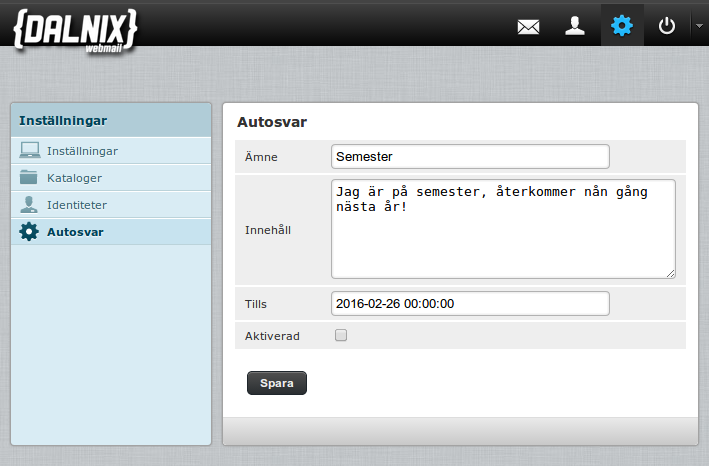 Point your browser to https://webmail.dalnix.se and logon with your complete email adress and password. Below are some guides how to set up the most common email clients (the guides are in Swedish, but, a picture says more than a single pixel…). Both incoming and outgoing servers requires you to authenticate with your emailadress and password. Any mail tagged as spam by our email system will automatically end up in the folder “Spam”. Depending on the email client you use, it may not subscribe to this folder. If you’re missing mail, it might be worth checking this folder if the letter was tagged by mistake. Please note that all messages in IMAP folders “Spam” or “Junk” that is older than 90 days are automatically deleted. So do not use these folders to store anything of importance!